Please contact me to purchase the original painting. 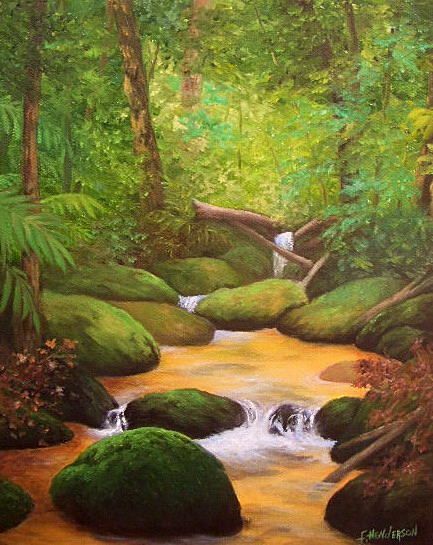 ​All paintings are oil on canvas and are unframed unless noted. 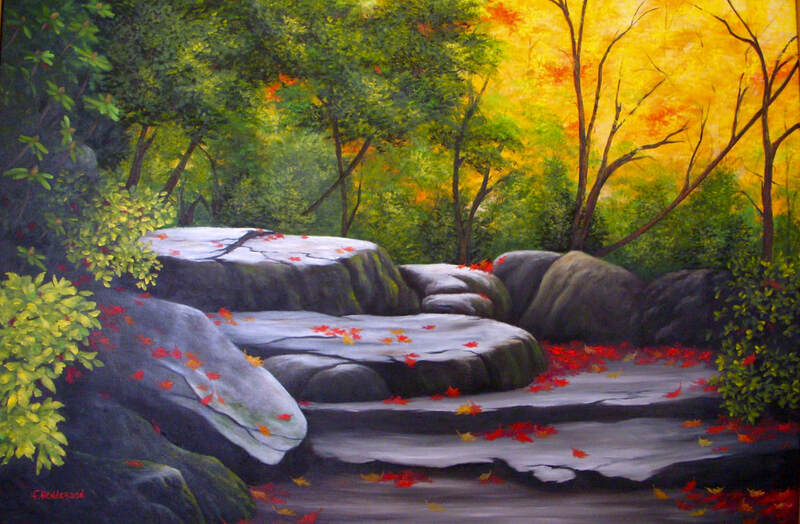 Tucked away deep in the woods is a peaceful rocky stream. 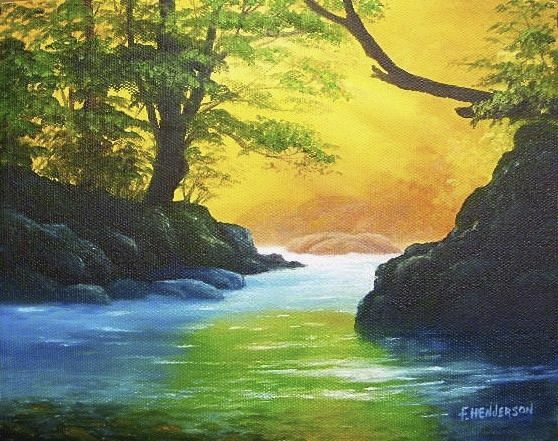 The sunlight warms this cool mountain stream as it filters through the trees in this lovely little painting. All of my paintings come with a 100% satisfaction guarantee. All computer monitors display colors differently. 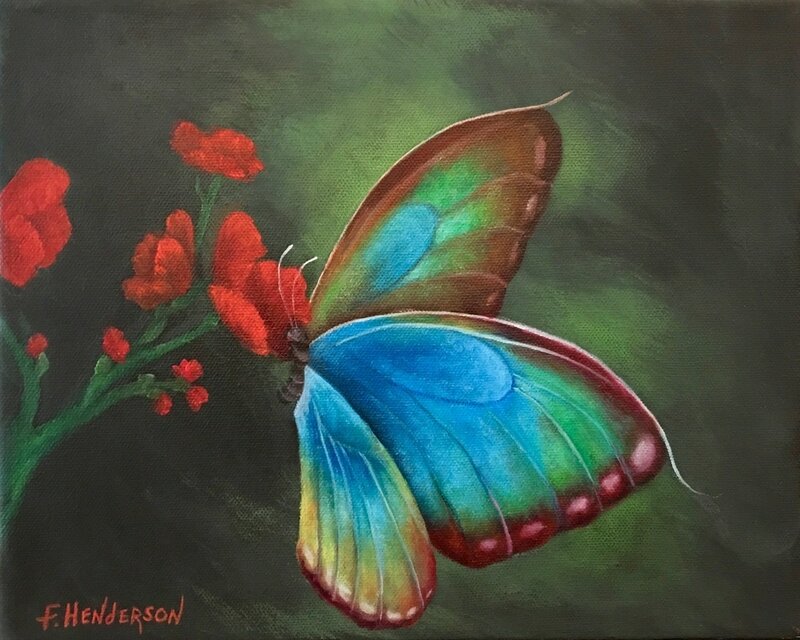 If you purchase a painting and it is not what you expected, all you have to do is return it to me within 10 day and I will refund your purchase price immediately, less the shipping.